Snow peas, which add a sweet crunch to this recipe, were an early spring crop in ancient China, harvested when snow was still on the ground, hence their name. 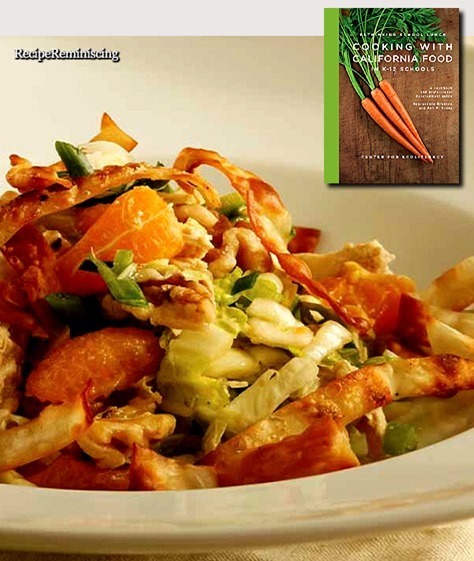 Napa cabbage has a sweet, mild taste and can be used raw in salads, as it is here. Toasting the walnuts first will bring out their flavor.